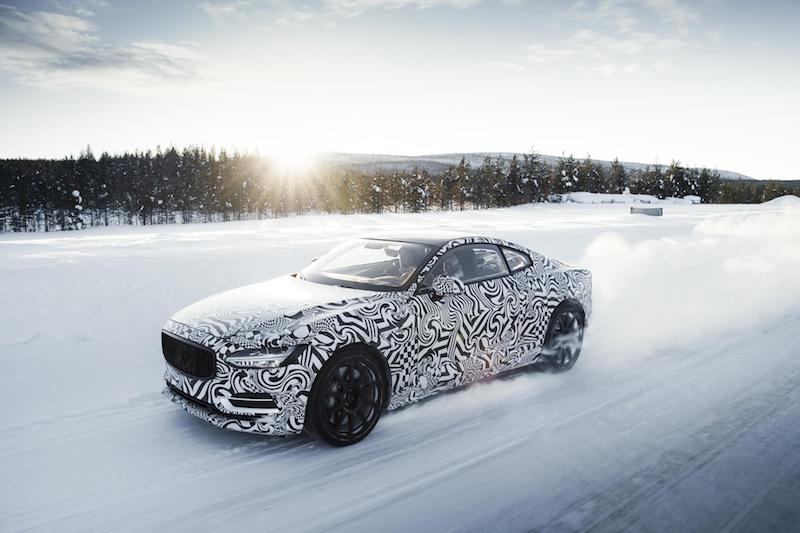 The Polestar 1 is heading to Beijing for Auto China 2018 from 25th April to 4th May, following its first successful winter test drive in northern Sweden. After making its global media debut in Shanghai last October, this is the first opportunity for the Chinese public to see the Electric Performance Hybrid. Its appearance in Beijing is boosted by overwhelmingly positive feedback from test drivers and engineers, who recently spent two weeks north of the Article Circle for a rigorous shakedown with the first running Polestar 1 prototype – in temperatures as low as -28 degrees Celsius. The intense winter test drive is designed to examine and fine-tune traditional automotive aspects like suspension and driving dynamics, but in the case of the Electric Performance Hybrid, the drivetrain and batteries were also under scrutiny – in one of the coldest places on the planet. “Our test drivers have given us some enthusiastic feedback on the handling and dynamics especially,” says Thomas Ingenlath, Chief Executive Officer at Polestar. Test drivers focused specifically on Polestar 1’s torque vectoring system, enabled by two rear electric motors with individual planetary gear sets. Chassis balance was further optimised thanks to the advantages of testing on ice, allowing the test drivers to better analyse and react to the car’s behaviour while driving. “Now we look forward to introducing the car to the Chinese public for the first time, a key market for Polestar,” concludes Thomas Ingenlath.